Passion is what drives us at TB Brown. Our passion means we go to the limit, day in day out, to get the best out of our coffee. With over 30 years of experience, this passion has seen TB Brown become true experts in the field of instant coffee. This dedication has seen us become pioneers in our field. TB Brown produces tailor-made instant coffee concepts and is committed to creating perfect blends and packaging solutions for these products. A dynamic process of cooperation between our headquarters in the Netherlands and our factory in Hungary allows us to serve a wide market and means we can provide products for a wide range of private labels. All characterized by quality, sustainability, innovation and, of course, passion! High production values, ethical standards, quality, innovation and sustainable development. These five values are our roadmap to fulfilling our mission: they reflect TB Brown’s work methods and the way we interact with the people and the world around us. Sustainable development is an important aspect, because we want to produce and provide our products in an honest, environmentally friendly manner. TB Brown is also an enthusiastic investor in the education and development of all its employees. By requiring nothing less than top quality, we constantly strive for the highest standards in new, innovative ways. For our products and for ourselves. Our mission? Easy: producing the best cup of instant coffee for our clients. The way we achieve this is a lot less easy. 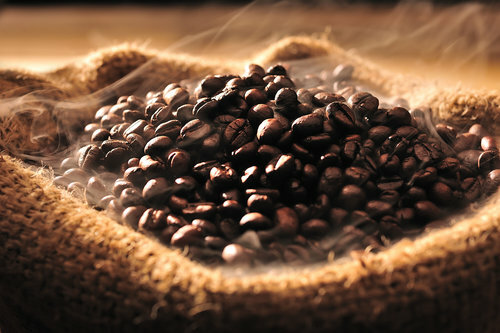 The wealth of our coffee is at the base of everything we do. Starting from the source, TB Brown provides added value by aiming to refine every step of the production process. A combination of constant innovation and a focus on customer experience is our calling card, and it allows us to create unique, high-quality products. However, tastes differ. Every client has their own needs and wishes that match their own intended audience. At TB Brown, we love to be inspired by clients and always keep a flexible attitude. This results in products that are a perfect match to our clients’ needs and wishes and allows us to say, again and again, that we have created the best cup of instant coffee.